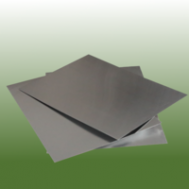 Aluminium underlay material is a thin sheet of aluminum. It contain no abrasives that could increase drill wear or contaminates that could be evacuated through the drilled hole. The surface is smooth and hard to properly suppress exit burrs, and bird nesting. The main purpose of the entry material is to prevent drill breakage by centering the drill bit. In addition, the entry material helps avoid copper burrs, reduce contamination in the hole and on the drill bit, and prevent pressure foot marks from the drilling machine. Although aluminum composites are typically the most expensive, they do a tremendous job improving accuracy and dissipating heat. In addition, they leave no hole contamination. Solid aluminum provides good burr suppression and no contamination, with only a slight increase in the risk of drill bit breakage for very small diameter drill bits.